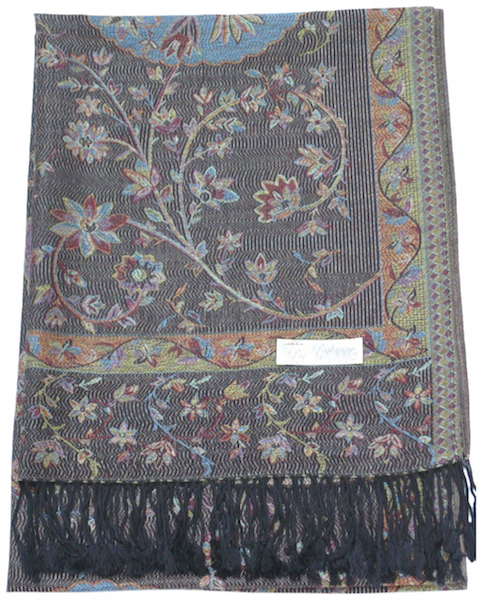 Black Jammu Design Shawl. 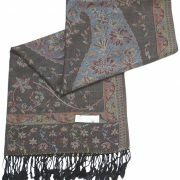 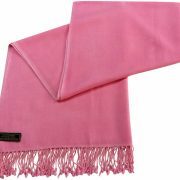 This is a beautiful 2 Ply, high quality CJ Apparel Pashmina, very soft to touch, and warm for cold evenings. 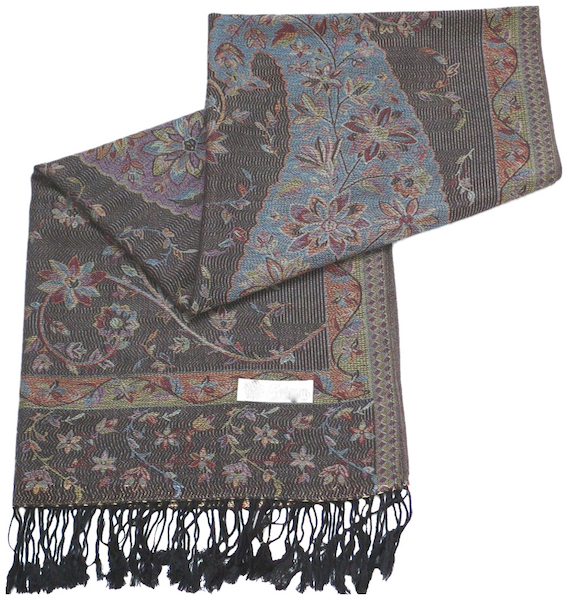 It is fully reversible and two tone, having a lighter tone and equally beautiful design on the reverse side. 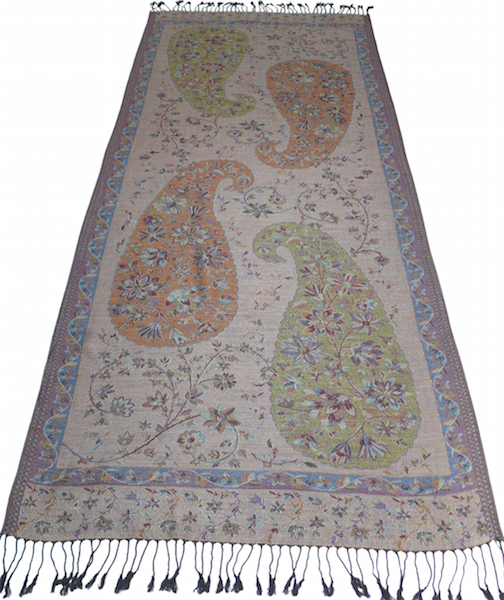 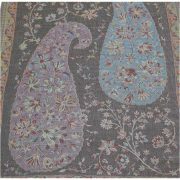 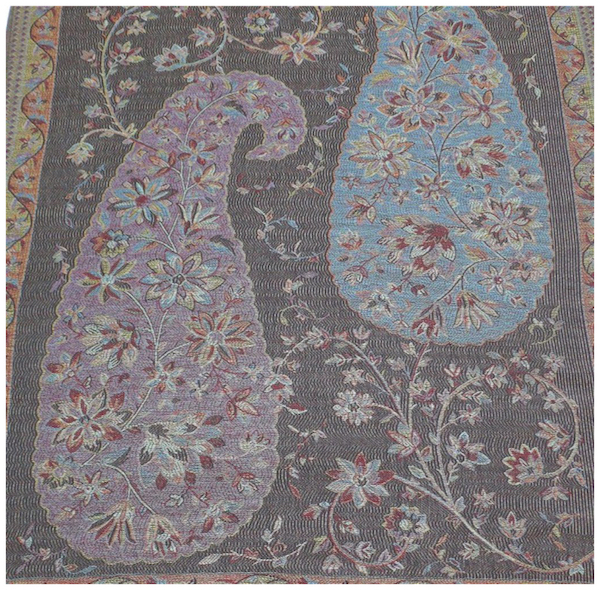 It has intricate Floral Boteh patterns in the coloured main body of the shawl. 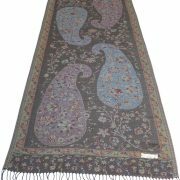 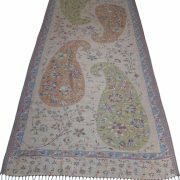 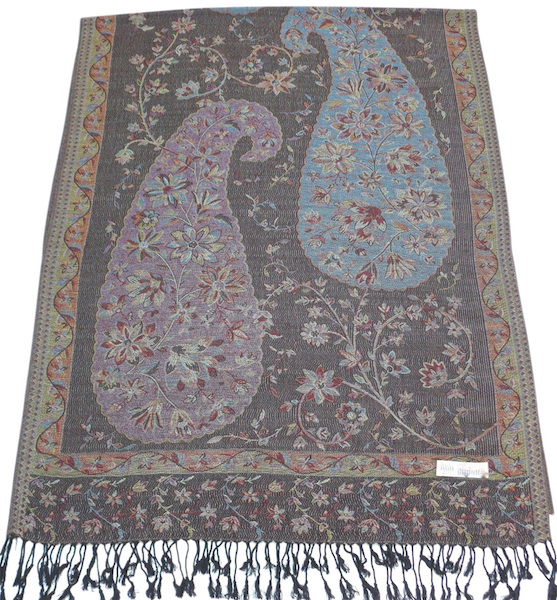 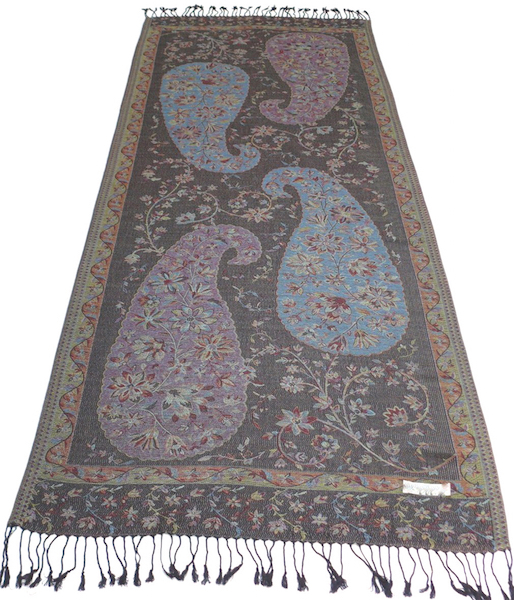 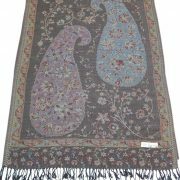 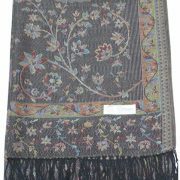 This shawl has a hashia floral frame border along all four edges. 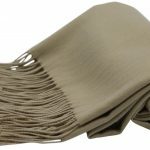 In addition, it has a 4 inch, hand twisted fringe at each end. 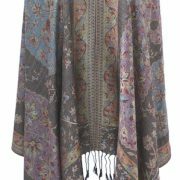 Most of all, the colour mixes and patterns in this Shawl are stunning – in conclusion, an absolutely gorgeous shawl!